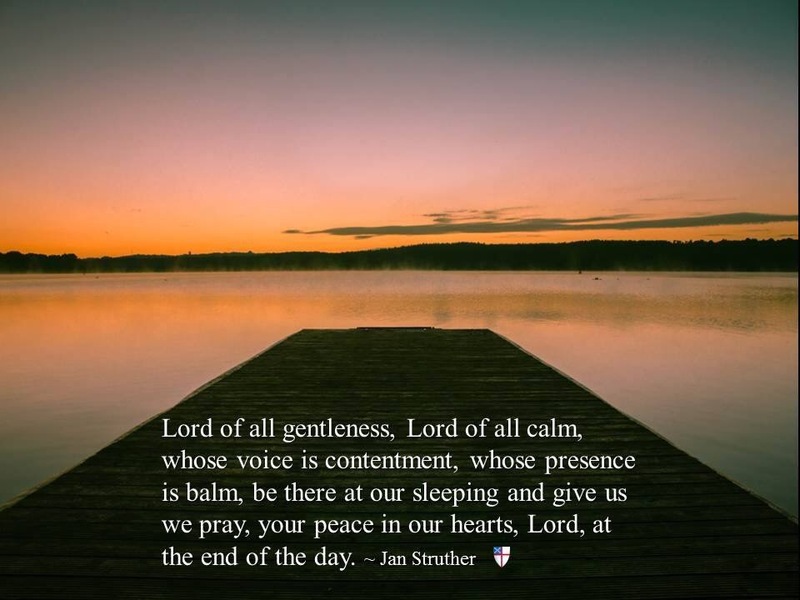 Lord of all gentleness, Lord of all calm, whose voice is contentment, whose presence is balm, be there at our sleeping and give us we pray, your peace in our hearts, Lord, at the end of the day. This entry was posted in gratitude and tagged God, grace, inspiration, Jan Struther, journey, politcs, prayer, wisdom. Bookmark the permalink.